What could be more fun than tasty food, a Corn-Shucking Contest, live farm animals and hands-on activities for kids? 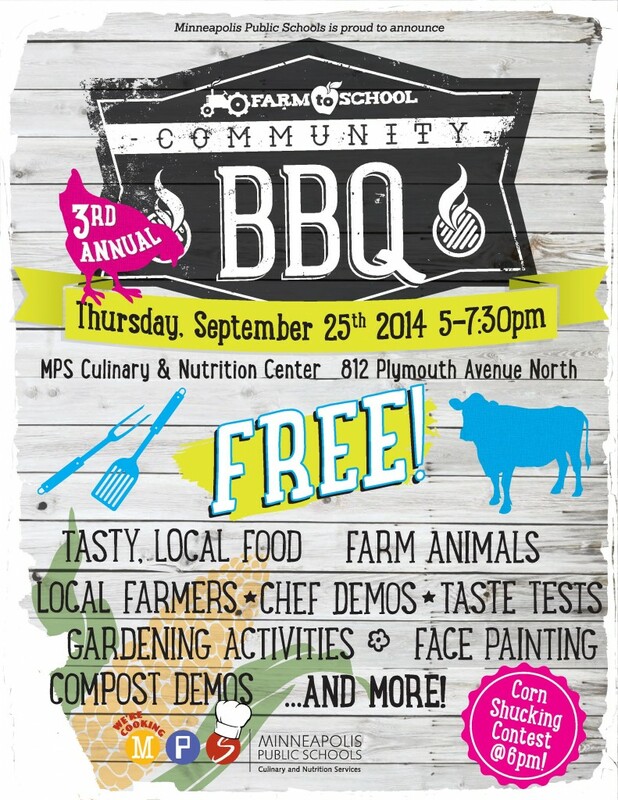 MPS Culinary & Nutrition Services is proud to announce that our third annual FREE Farm to School Community BBQ will be on Thursday, September 25th from 5:00 to 7:30pm! The event will take place in the parking lot of our Culinary Center, located at 812 Plymouth Avenue North. Students, families, staff and community members will have the chance to enjoy a locally-sourced meal, taste samples made by local chefs, learn about community organizations and meet some of the farmers who grow food for our school meals.